Need a motivational tool to get your kids brushing their teeth regularly and correctly? Look no further! The Brush DJ App was created for just this purpose. You can download Brush DJ for free on the Apple App Store or on Google Play. Creating good oral hygiene habits doesn’t just happen. It takes time and attention, and most parents will no doubt welcome a tool that makes the process easier. To try this app, simply download it and start it up. After agreeing to a couple of disclosure messages, you can begin the setup process. Your first choice will be to customize the colors. What color do you want the background to be? How about the timer? Set the colors to match your bathroom, toothbrush, or simply choose your favorite color. Next, set the music you want the Brush DJ to play. You have the choice of locating and playing music already on your device, music from an online service, or defaulting to tunes that are included in the Brush DJ app. Good habits require reminders and there are plenty of reminders built into this app. Scrolling across the top are messages that remind you to floss, how to brush, and to turn the water off while brushing. When to brush in the morning. When to brush in the evening. When to use mouthwash (hint: it’s at a different time than brushing). 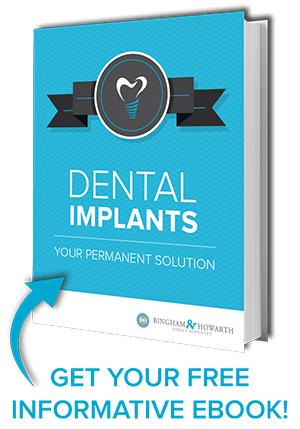 When to go to the dentist, hygienist, orthodontist, etc. When to replace your toothbrush. Like an oil change sticker on your windshield, you can easily see the benefit of having this data stored simply and neatly in one place, reminding you exactly when to do each thing. In addition to reminders, the app also teaches your child age-specific oral health information (sourced from the Public Health England toolkit Delivering Better Oral Health). Hit the “run” button and your favorite tune will start to play. As time ticks down, the little circles will change showing your progress as you brush your way through the two-minute DJ session. While brushing, reminders will scroll across the top, helping you to do the best job possible, and will even advise on how to finish. Did you know that you should not follow brushing with mouthwash? Finally, at the end of two minutes, the music will stop and you’ll be good until your next session. Helping your child develop good brushing habits at a young age is always a good idea! 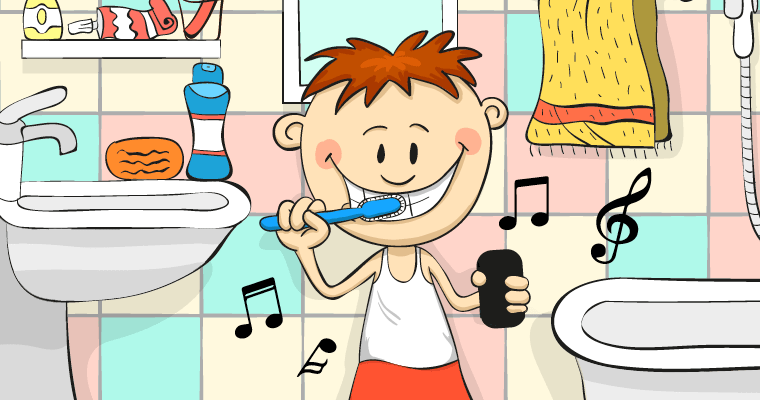 Good oral healthcare habits can prevent tooth decay and gum disease now and further down the road, and the Brush DJ app is a great tool to make brushing fun for kids of all ages! How do you get your child to brush regularly and properly? Please share your experiences and tips in the comments below!